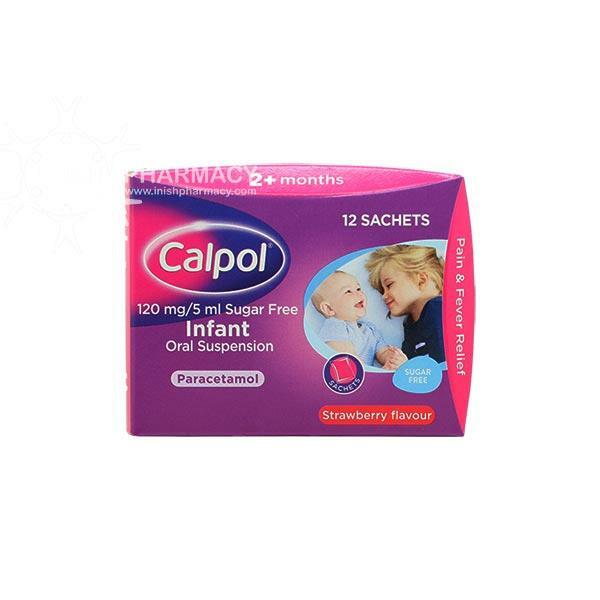 Calpol sachets is a painkiller for babies,toddlers and children aged 2 months to 6 years. This strawberry flavoured oral suspension is a pleasant tasting sugar free medicine making it easier for children to swallow and easier to carry when travelling. Babies 2-3months(weighing over 4kg and born after 37 weeks)2.5ml. Maximum of 2 doses in 24 hours. Babies 3-6 months, give 2.5ml. Babies and toddlers 6 months - 2years, give 5ml. Babies and children over 3months should be given a maximum of 4 doses in 24 hours. Each 5ml oral suspension contains 120mg paracetamol. Other Ingredients: Sucrose, Sorvitol liquid(E420),carmoisine(E122), E124, E126 and E218.